Hardeep Walia, co-founder of US-based Motif Investing, has broken new paths with fintech (as financial technology is fashionably called). His company has not only disrupted the investing ecosystem but has also given the extra push to investors who want to go beyond mutual funds but are reluctant to get into professional trading. Latching on to the DIY (do it yourself) trend that the world is slowly leaning towards, Walia has masterminded an intuitive way to invest in the stock market using the concept of theme-based investing. Betterment, another US fintech company, also follows a similar model, allowing investors a DIY approach to investing. Betterment gives a bond basket and stock ETF to create an optimal mix for investors. In India, the concept is still nascent. Most Indian fintech companies are yet to give its investors greater control over their investments. There are certain regulatory and tax issues that make a Motif or Betterment model difficult in the country. Besides, mutual fund penetration in urban India is hardly 9 percent (according to a 2014 KPMG report on the mutual fund industry). This number may improve marginally in the coming years, but only just. It has not changed much over the last 20 years. Indian firms understand that the DIY model may change that reality. With internet reaching the hinterlands at express speed and the rural youth toting smartphones, theme-based, mobile investing might just interest the investor of tomorrow. Here are five Indian companies who can marry robot advisory and technology-based solutions to make equity and fixed income investing a household product. 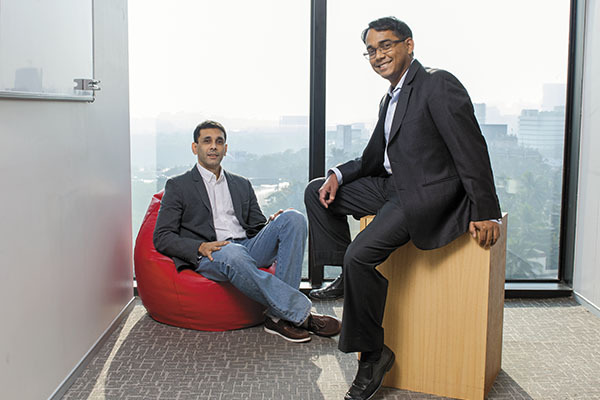 R Chandrasekar and Srikanth Meenakshi faced a unique challenge when they started FundsIndia, an online mutual fund distributor, in December 2008. “Unlike other online transactions, we were selling a product that gave the buyer no instant gratification, nothing tangible and offered no guaranteed rate of return,” says Srikanth. “We had to offer our customers, who were investing in various mutual fund schemes through us, something more than just an ethereal experience.” This thought led them to build a business that offered unique services. “We decided to offer rock-solid advisory services and have an army of advisors who are available 24x7 for the investors. We also designed our platform in a manner that offered better experience, whether the investor is new to mutual funds or a veteran,” he adds. Seven years later, FundsIndia, with 80,000 customers and assets under management (AUM) of Rs 1,500 crore, has emerged as India’s leading online mutual fund distributor and is among the top 40 distributors overall (including hordes of offline players). “What makes me happier is the fact that we are the No. 1 mutual fund distributor in the country when it comes to asset retention ratio,” says Chandrasekar. “This means we are successful in offering the differentiated customer experience that we started out to do and the customers are staying with us.” Customers of FundsIndia do not get (or need) to meet the company employees at all. They interact through calls, chats or email. Both Chandrasekar and Srikanth pursued MCA in Hyderabad Central University in the early 1990s (Srikanth is two years junior) and did a Masters degree in the USA. After handling the technology end of various financial services companies for a few years, both returned to India to do something on their own. “We realised that mutual funds are the best wealth creators for retail investors but their penetration level in India was very low. So we chose to enter this business,” says Chandrasekar. They were greatly helped by a regulatory change that removed front-end loads, forcing the mutual funds industry to embrace a low-cost distribution operation. “Online distribution is the cheapest form of distribution,” says Srikanth. FundsIndia hopes to have an AUM of Rs 10,000 crore with 2.25 lakh investors in the next 18 to 24 months. The startup, which is still in the cash-burn stage, has attracted three rounds of investment totalling Rs 93 crore. “It was not easy at all. No one had raised money for an MF-only platform earlier. 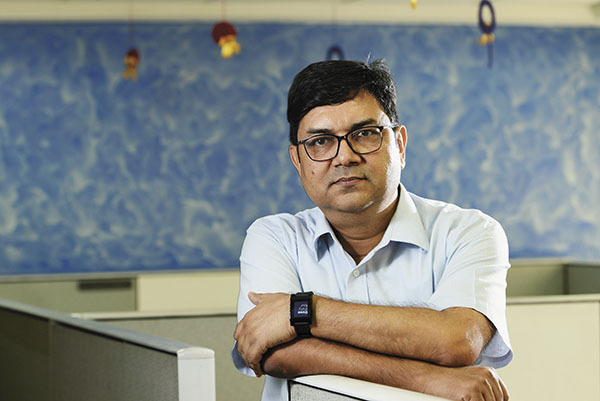 Plus, we had a trail revenue model that was difficult to understand,” says Chandrasekar. They had to speak to many investors before Inventus Capital Partners put in Rs 3 crore in 2010. After a bad experience with an insurance agent around 2008, Nitin Vyakaranam realised that, like himself, most of the Indian middle class doesn’t get proper advice on financial products. “I didn’t know much about a Ulip (Unit-Linked Insurance Plan). I assumed that because the agent was an acquaintance, he would put my interest first. But I discovered later that was not true,” recounts the 37-year-old, who founded ArthaYantra in 2012. The Hyderabad-based startup calls itself a full-service robo-advisor firm. Vyakaranam explains that ‘robo’ refers to the use of analytics to create customised advice without any human intervention. Thus, with the help of technology—deep analytics and machine learning—ArthaYantra offers financial services ranging from advise on investment, insurance, loan portfolio to expense management and tax. The internet-based startup also connects all these aspects of personal finance, providing a holistic view of an individual’s financial health. For example, if an individual is buying a home, ArthaYantra’s proprietary online technology platform gives the impact on tax, a monthly expense management preview, and the individual’s ability to reach other goals. “Our job is to ensure that people take the right decisions and they know what is the impact across the personal finance spectrum,” says Vyakaranam, who has an MS in electrical engineering from the Northern Illinois University in the US. He worked with Bank of America—on mathematical and technology modelling—before retuning to India in 2005 to pursue a postgraduate programme in management from the Indian School of Business in Hyderabad. “We have a 20-year-old engineering student whose financial goal is to buy a hard disk. On the other hand, there is also a family where the mother died two months ago and the father, who is suffering from liver cancer, came to us to ensure his daughter’s financial security,” says Vyakaranam. That sums up the reach that ArthaYantra has been able to build for itself in just three years. According to Vyakaranam, there are only 2,500 qualified wealth advisors in India to service India’s middle class. The best way to reach out to the populace with cost-effective, transparent, unbiased and comprehensive financial advice, he says, is through technology. ArthaYantra charges its customers a fee of Rs 1,000 per year, an insignificant sum compared to the Rs 25,000 and upwards per annum that a financial advisor may charge. As of date, the fintech startup claims to have 75,000 users who are spread across 600 cities in the country. Vyakaranam, who is looking to raise growth capital, says he is targeting 1 million users over the next 24 months. So far he has only raised seed capital from investors who he doesn’t want to name. In the financial services space, a commonly-followed aggressive sales model leads to mis-selling of financial products, eating into the brand’s credibility. 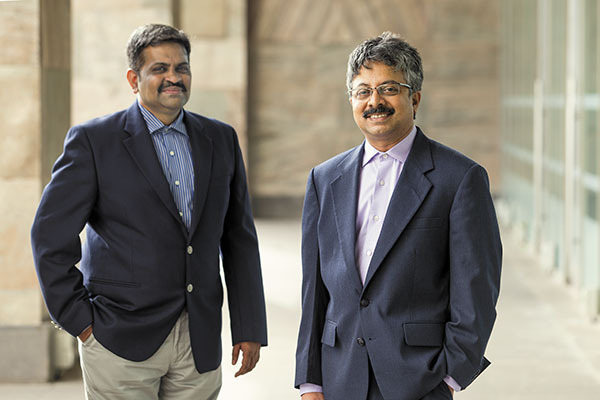 Launched in January 2013 by former bankers and finance veterans Sanjiv Singhal (47), Atul Shinghal and WS Ravishankar, both 46, Scripbox has managed to address the pain points of the sector, where investment decisions are often backed by skewed and subjective data. The Bengaluru-based startup provides an algorithmic decision based on quantitative data about which mutual funds to buy. During the recommendation process, it filters decision-making by limiting choice without any human intervention. The customer can go online and select from the three available categories of funds (equities, debt fund and tax-savings fund or ELSS). Within each of these choices, there are pre-selected portfolios. The client can take a call on how much to invest in which portfolio. Scripbox doesn’t charge any fee from its customers, but gets a distributor commission from asset management companies (AMCs). “Our customers often tell us that they never thought investing was so simple. We believe rather than complicating things, you give people a few simple rules: Select your investments carefully, review them periodically and keep a tab on taxes and costs. We use algorithms to automate all three investment principles,” says Singhal. The startup currently has about Rs 100 crore of AUM. While it shied away from disclosing the total number of customers, it claims to clock a million unique visitors a month on its platform. Around 70 percent of its customers are first-time mutual fund investors. The model has garnered attention and investor funding. Last year, it raised series A funding of Rs 16 crore from Accel Partners and angel investors such as Deep Kalra (MakeMyTrip), Shamik Sharma (Myntra) and others. So far, it has raised Rs 20 crore including seed investment of Rs 4 crore. Dinesh Rohira has a simple philosophy: Investments and relationships made today will yield returns tomorrow. His fintech firm 5nance, which he co-founded with Ajay Arjit Singh in November 2015, works on that belief. Between them, Rohira and Singh have 40 years of experience in the software services industry. 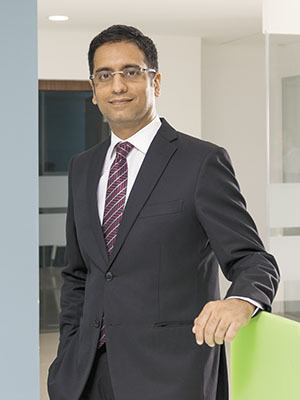 At 5nance, Rohira is responsible for the overall business vision while Singh chips in with sales and marketing experience gained from spending two decades with HP, Microland and Tata Honeywell. Like other firms in the sector, 5nance.com offers completely automated investment advice far removed from the offline world of commissions. It is one of the few firms in the country that offers advisory and products across various asset classes. Most advisory firms in India are dedicated to one product, like mutual funds or insurance or loans. At 5nance.com, users can also avail of money management plans such as budgeting, expenses tracking, savings optimisation across products like mutual funds, corporate deposits, fixed deposits and gold. In February, it will start offering equity advisory. “We are a holistic player for all your finance management needs. We have portfolio managers who will handhold the customer till they book profits, not just at the investment point,” says Rohira. 5nance.com doesn’t charge clients for investing advice; instead it takes commissions on product distribution. “We can’t charge the customer on both sides,” says Rohira. Also, for a company like his, customer acquisition cost goes down through repeat customers, who return to the platform once they start trusting it. That’s why building trust is important, says Rohira, adding that the clients share private information and typically don’t shop around. They also tend to increase their investments over years. “At 5nance, I would scale only when I can build the trust,” says Rohira. 5nance.com is already working on its plans to expand its advisory services and products offerings across further asset classes. Over the next two months, it will get into personal, housing, education and car loans as well as credit cards. By April, it will offer insurance related advisory and products. It will also offer research-based services across various asset classes. Currently, there are no research advisory for debt and insurance. According to Rohira, 5nance will be a full-fledged marketplace for complete financial planning and would even get products made according to a customer’s needs. In the world of personal finance advisory services, where the discourse normally revolves around what you should buy and from whom, Mumbai-based BigDecisions tells you what you should be doing. And how to do it right. BigDecisions (which was fully acquired by global media services company News Corp for an undisclosed amount in 2014) is a personal finance company launched in 2013 that provides automated, algorithm-based advice without human inputs. It has built tools, including data, videos, calculators and blogs to help customers make financial decisions relating to health and life insurance, retirement, children’s education, buying or renting property and managing home loans better. “The overwhelming goal (in the Indian system) has been revenue. We, as people, want free advice and then are, often, sold the wrong product. The financial advisor always means well but is also short on information,” says BigDecisions’ co-founder and CEO Manish Shah. BigDecisions helps one take control of one’s own financial decisions in a market space built around distribution of products or fee for advice, says Shah, an alumnus from IIM Ahmedabad and a survivor of the 2008 financial crisis while working with Citigroup in the US. His business partner Gaurav Roy has been a former consultant with Arthur Andersen and KPMG and a software engineer at Wipro. Shah and Roy had worked together briefly at Aegon Religare Life Insurance (now Aegon Life). BigDecisions works with Ohio-based Paramount Healthcare for data on treatment costs, education counsellors for course fees and costs and Delhi-based online property advisor PropTiger for real estate project details. It has also built its own retirement inflation index based on sample household costs and consumption patterns. The company started in a coffee shop in Mumbai’s Bandra neighbourhood with just the two co-founders and was bootstrapped (self-financed) until News Corp acquired it. Today, BigDecisions has over two million users and half a million visitors each month; its 25-member staff is a mix of engineers, accountants and financial planners. Shah did not disclose BigDecisions’ revenues, which come through two streams. Once an individual has decided on what to do, BigDecisions provides them with the option to connect to neutral ‘platforms’— licenced, authorised financial service providers—where products are sold. This generates marketing revenues for BigDecisions. The company also works with finance companies to aid consumer literacy platforms, through microsites, which also improves earnings. The company has introduced new products this year. On its real estate platform, individuals can compare the returns of property against other financial assets. A tax calculation tool has been launched to help customers evaluate tax liability and guides them to help buy the ‘right’ product to save taxes. Talking of fintech firms, here is one California-based firm that caught our attention. 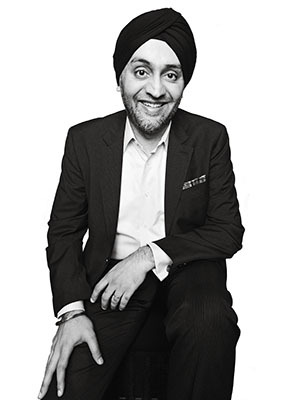 Hardeep Walia is a poster child for the growing relationship between big banks and fintech startups. He had planned to go to Wall Street after earning a Wharton MBA in 2001, but instead took a job with Microsoft, where he rose to general manager of worldwide enterprise services. 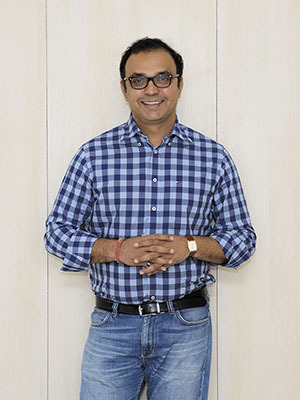 Walia courted the banks as investors when he launched Motif in 2010 as a brokerage platform that allows do-it-yourself investors to build, buy and discuss themed baskets of stocks. (Popular now: Biotech and 3-D printing.) “The big aha for us was that everything is thematic,’’ says Walia. “It is the notion of being able to express yourself.” Motif is now doing product deals with the big banks, too. Motif’s customers recently got access to JPMorgan-led IPOs, and Motif is working with US Bank to create themed investing strategies for the bank’s Ascent Private Capital Management unit, serving families worth $75 million and up. Determined to play every angle, Walia has also rolled out a platform for independent financial advisors to work with clients on themed investing and has taken on low-cost robo-advisors like Betterment and Wealthfront with commission-free ‘Motifs’ that are made up of index ETFs and keyed to an investor’s time horizon and risk tolerance. Very informative article. Would like to know more about the regulatory and tax barriers mentioned in the article. There is one more company (www.safetrade.in) in this category from India. They are the India\'s first robo advisor for equity market.